We sold this Bangkok Flowerhorn to one of our pet store customers 2 years ago as a 3″ Flowerhorn. Their customer brought it in to the pet store where they bought it to show them the fish today. 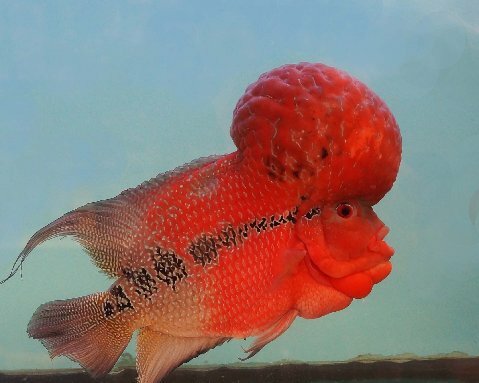 This Flowerhorn has matured beautifully and I thought it would be interesting to show it to you. We really appreciate hearing from our satisfied customers who bought from our freshwater tropical fish wholesale supply service.